The arrival of the Giulia Quadrifoglio means that Alfa Romeo has a BMW M3 rival for the first time ever. 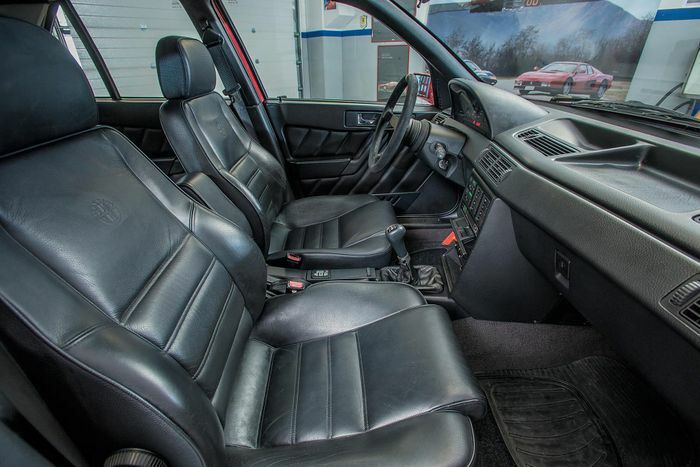 But, go back to the early 1990s, and you’ll find that the Italian company very nearly put an E30 M3 beater into production. 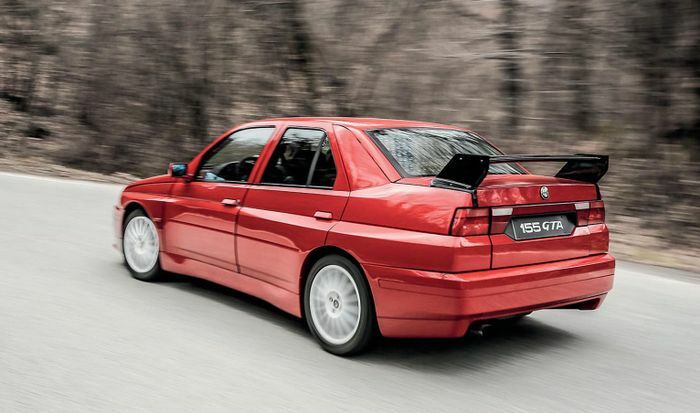 Using the 155 Q4 as a base - a decent starting point, considering it has the same engine and all-wheel drive system as the Lancia Delta Integrale - the GTA Stradale was intended to be a road-going version of the immensely successful Tipo 155 touring car. It had the right man at the top, too - the project was headed by Sergio Limone, mastermind of the Lancia 037. At the front, you’ll find a 2.0-litre four-cylinder turbo producing around 190bhp, hiding behind a meatier bumper designed to echo that of the racing version. The wings were new too, as was the rear bumper, and the huge rear wing. 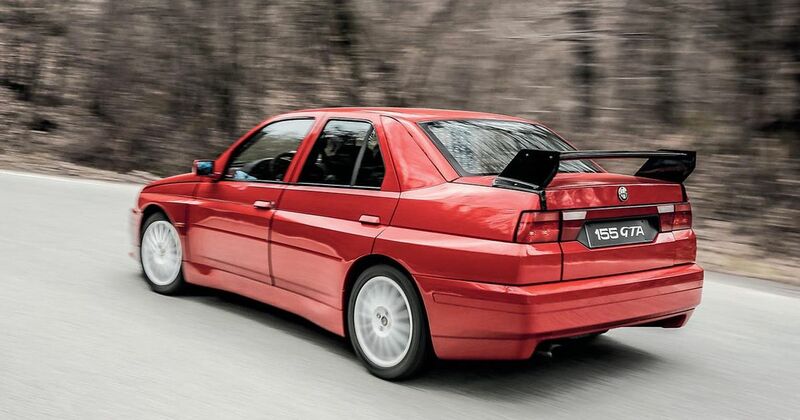 Yet more borrowing from the Delta Integrale occurred during the car’s development, with the GTA Stradale nicking the rally hero’s suspension setup. The team then sprinkled a little extra sportiness in the cabin, adding hip-hugging seats, a race-style steering wheel with a 12 o’clock marking, and an electrical cutoff switch. Sounds like an awesome recipe, but two major stumbling blocks halted the GTA Stradale’s progress, the first being the engine. 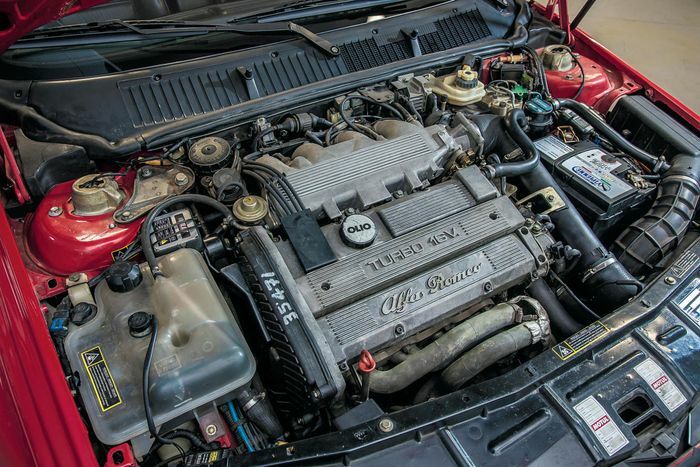 Fiat bosses at the time reckoned it needed a more powerful V6 engine, but that couldn’t be packaged with the Integrale-derived Q4 system. Secondly, the car would have needed to be built on a second production line, which would have been hilariously expensive to set up and maintain. Its fate was sealed, and the prototype you see here remains the only one ever built. It did at least have a few public outings, though. 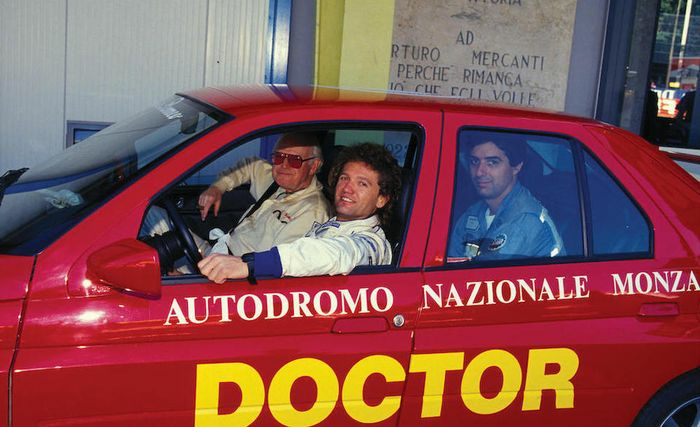 It was on Alfa’s stand at the Bologna Motor Show and was driven by FIA medical officer Doctor Sid Watkins as the official medical car for the 1994 Italian Grand Prix. The car spent several years in the workshop of Italian rally driver Antonio ‘Tony’ Fassina, before being snapped up by one of the man’s friends. 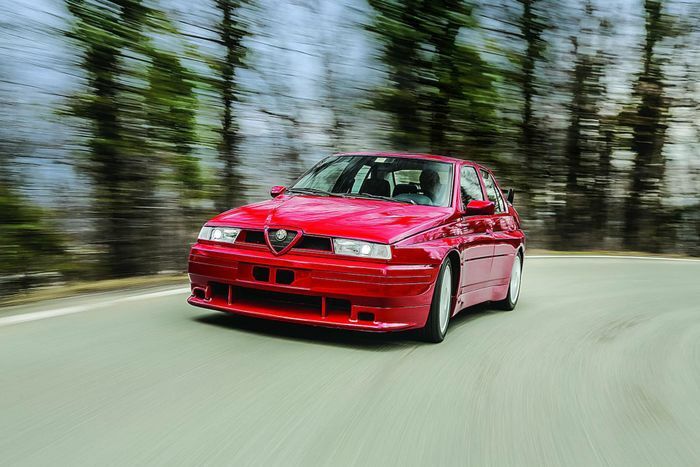 It was then registered for the road in Germany, before coming back to Italy in 1999 to be part of a private collection. The car’s current owner took the keys not long ago. The 155 - now showing 40,000 kilometres on its clock - is due to go under the hammer at Bonhams’ Padua auction on 27 October, and as you’d probably expect, its historical significance means it isn’t going to be cheap: it’s expected to fetch somewhere in the region of £160,000 - 190,000.